One of the coolest shows on TV for car guys and gals is How It’s Made: Dream Cars. This series lets you get a look at how some of the most amazing cars in the world are made. 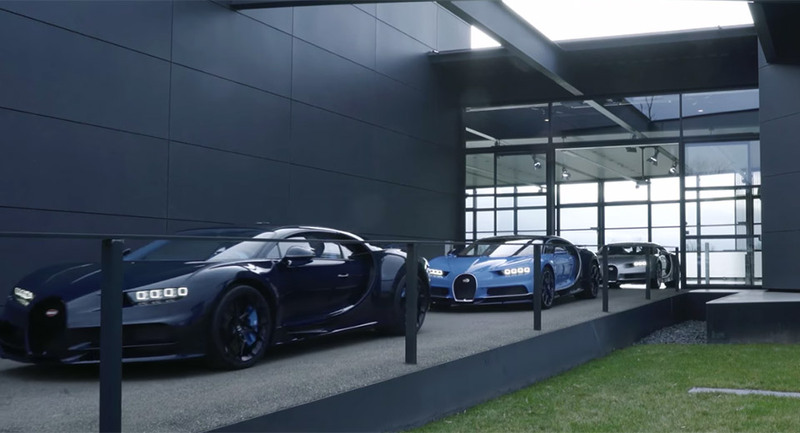 Along these lines, Bugatti has offered up a behind-the-scenes video that shows the first three of its Chiron hyper cars rolling off its assembly line in Mölsheim, Germany. The video spans only a bit over three minutes, but you do get to see some of the delicate hand-assembly process in action, including a good look at the hypercar’s mighty W16 engine, and some wintry woods outside the factory. Every little detail on the car is perfect and it looks like much of the assembly is one by hand. I really dig the light blue car; it looks fantastic. These things have epic interiors too.